In large bowl, gently toss apples, berries, sugar, lemon peel and lemon juice. Spread fruit in even layer in baking dish. In medium bowl, stir together cake mix and buttermilk until blended. Spoon over fruit mixture and carefully spread in even layer, covering as much of fruit mixture as possible. Dot with butter. Bake 28 to 30 minutes or until top is golden brown. Cool 15 minutes. 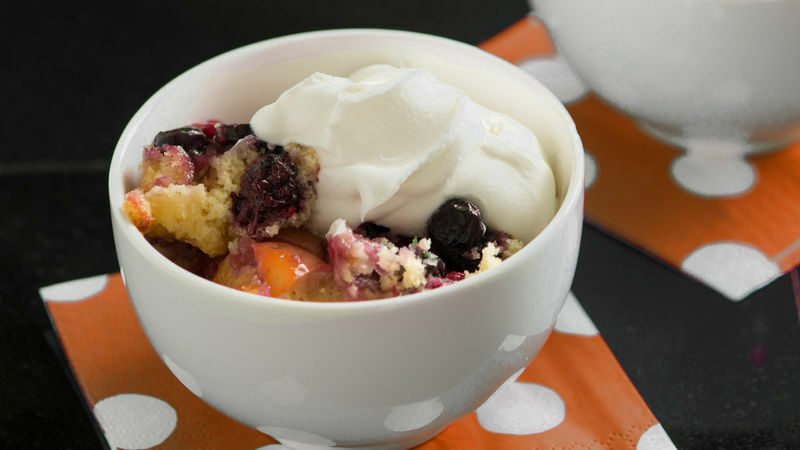 Serve warm cobbler in bowls with whipped topping. Chocolate cake mix is also good in this cobbler. Substitute pears or peaches for the apples.